Sullivan Bay Marina Events Page - Check here to see what is happening at Sullivan Bay Marina. Year after year this is "the" party of the season! Our 3rd annual fishing Derby is being held August 8th and 9th this year. The Return of Giants! Presentation on the latest knowledge on Humpback Whales. Jackie Hildering, in her capacity with the Marine Education and Research Society, wishes to share their research with those who are also witnessing the return of Humpbacks and discuss how we can work together to better understand these giants and the risks they face (for the sake of boater and whale safety). 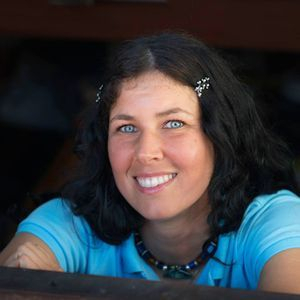 As an avid diver and underwater photographer, Jackie is also known as “The Marine Detective” with recent on-camera experience including being featured on Animal Planet’s “Wild Obsession” series and in the BBC production “New threat to Canada's Pacific humpback whales?” It indeed promises to be an informative and entertaining! See www.mersociety.org. 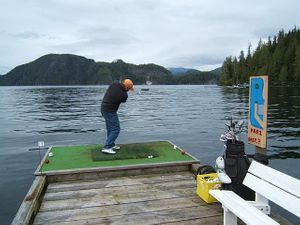 Don't forget the Sullivan Bay Golf and Country Club. The worlds most challenging 1 hole course. Prizes for closest to the pin every evening. Hole in one wins free footage.